Bart's House of Weirdness is a DOS game that was created in 1991, but released in 1992. Bart has pulled one too many pranks on his parents and is grounded to his room. Eventually he gets bored and he escapes the house and makes his way to an amusement park to save Krusty from Sideshow Bob. The player controls Bart as he sneaks out to the movie theater, explores the basement and attic, fights Space Mutants, Itchy and Scratchy, and Sideshow Bob to save his hero Krusty the Clown. Burp Balls : Ammo for the burp gun. Burp Gun : Basic gun. Dount : Refill the Cook-O-Meter (health). Rocks : Ammo for the slingshot. Slingshot : Stronger than the Burp Gun. Spray paint : Secondary weapon. Water balloons : Secondary weapon. In each level, Bart fights dust bunnies, spiders (in the attic), ghosts (in the basement), space mutants (at the movie theater), and Itchy and Scratchy (in the dream world). Bart is able to utilize a variety of weapons in the game, including a burp gun, a slingshot, spray paint, and water balloons. The player controls these weapons with either a keyboard or a joystick. The joystick control has two modes: one for shooting and one for jumping. Whenever the player misses one of the creatures and they are able to hit Bart, the life bar, called the "Cool-O-Meter", drops. In order to regain Bart's coolness, they player must find a cool item that he can use. When the player has completed all levels, Bart goes to the Krustyland amusement park to save Krusty from Bob. The game was reviewed in 1992 in issue 179 of Dragon magazine by Hartley, Patricia, and Kirk Lesser in the "The Role of Computers" column. 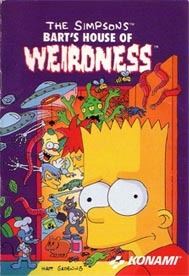 The reviewers gave the game five out of five stars, and commented that "Without a doubt, Bart's House of Weirdness is one of the best arcade games we’ve played. It also happens to be one of Konami’s best products!" They added that "With superb Roland sound (the TV show theme and opening animations are quite good) and smooth animation, our only wish is that Konami would consider releasing this fine arcade delight with full VGA support sometime in the future. If you like Bart and really enjoy arcade games, you have to get this one." William Burrill of Toronto Star commented that "the graphics in House of Weirdness are sharp and colorful, and look much like the television show. Music from the real show is also included, along with digitized samples of Bart's rather whining voice." In 2009, eighteen years after Bart's House of Weirdness was released, 1UP.com editor Bob Mackey reviewed the game in 1UP's official Retro Gaming Blog. He praised the game for its graphics, but was critical of the gameplay. 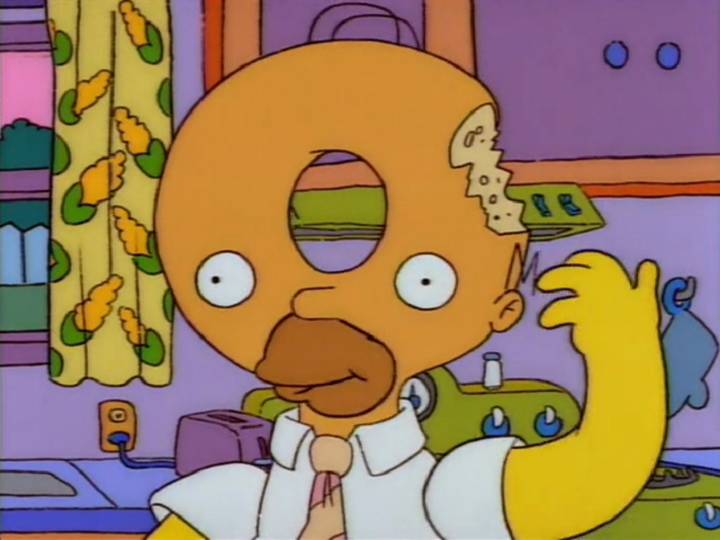 Mackey wrote that "the graphics are far more impressive than any other Simpsons title at the time, outside of the arcade brawler. In fact, the graphics alone were responsible for my childlike [...] excitement over House of Weirdness; [...] they're pretty lush — even if they're not entirely faithful to the show. Bart's PC translation might be just a little off-model, but it's a gigantic leap over his duck-like visage seen on the NES." He added, however, that the game "is completely unintuitive, your goals aren't made clear, it's never certain if you're doing the right thing, and you're often locked into screens with no apparent way out but death." Mackey also criticized the levels' structure that "seems more randomly-generated than anything" and the fact that the "big, beautiful" sprites sometimes do not move well. Modified on February 20, 2015, at 17:48.